Webster County is blessed to be one of the leading Heritage Tourism sites in the state of Nebraska. With nearly 50 sites associated with author Willa Cather in Red Cloud, Bladen, and the places in between, the Starke Round Barn (the largest "true" round barn in the world) just outside of Amboy, deep connections to Baseball Hall of Famers Cy Young and Dazzy Vance, and underdeveloped sites such as the Pike-Pawnee Village near Guide Rock and various sites near Cowles, visitors can spend a long weekend exploring Nebraska history and culture. Two of the 20 Nebraska National Historic Landmarks are located here (The Cather Childhood Home in Red Cloud and the aforementioned Pawnee Village). According the Nebraska State Historical Soceity, "Heritage Tourism is defined as the experience of visiting museums and historic sites. To more and more travelers it is getting a sense of 'real' history. For others, it is an opportunity to explore Nebraska through its back roads and byways. Nebraska's heritage attractions tell important stories about that state--stories that can only be experienced firsthand, thus creating a compelling incentive to choose the Cornhusker State as a travel destination. And heritage tourism allows Nebraskans to share their rich history and culture with others." Read the PDF below for more information about the Heritage Tourism industry. 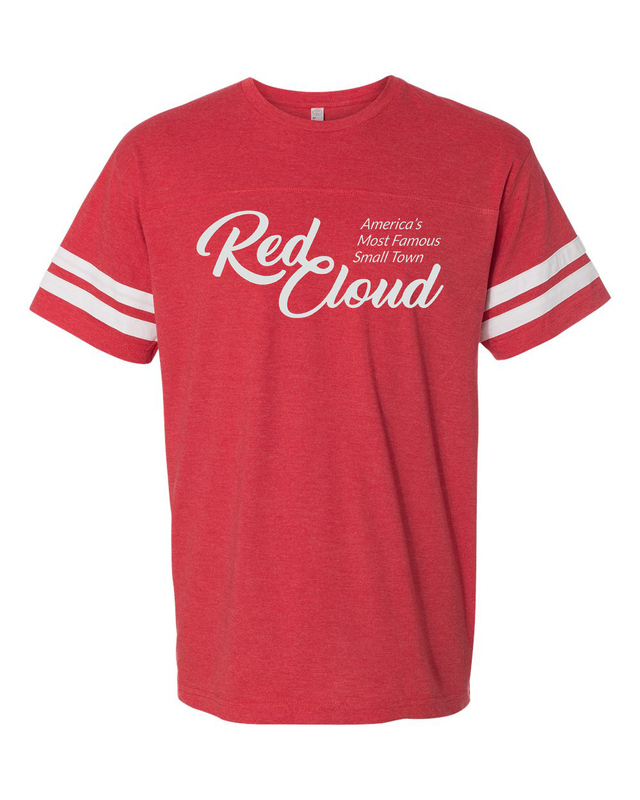 Learn more about what Red Cloud and the surrounding areas have to offer, set up a tour, follow one of our intineraries, or purchase one of our travel packages. Contact Heritage Tourism Development Director Jarrod McCartney or Willa Cather Foundation Education Director Tracy Tucker at 402-746-2653 for more information. Read the Nebraska Heritage Tourism report for more information. Many of the sites listed below are not open to the public. Please make arrangements before visiting. School District 37 was organized by early settlers in Stillwater Precinct in 1872. Pioneer students were taught from grades one to eight in this rural school. The last classes were held here in 1959. The school has been moved from its original site with its contents intact and the original playground equipment on the grounds. Various gravesites of historical interest are located here, including some of the Cather family and that of Silas Garber, town founder and former Nebraska Governor. The main entry is located on Cherry St, south of "A" Avenue with an alternate entry at 3rd St. & Arch St. In 1806, Lieutenant Zebulon M. Pike traveled to Guide Rock to visit the head chief of the Pawnee Nation and persuade him to take down the Spanish flag and replace it with the "Stars and Stripes." Pike was sent on this mission by President Thomas Jefferson. He was greeted by Chief Characterish and 300 horsemen. Pike and the American party found that the village had been recently visited by a large Spanish expedition from Santa Fe. Although Pike did not meet physical resistance, there was unrest among the warriors. He instructed twenty of his men to march across the river and dig pits from which they might defend themselves in the event of an attack. Pike set up camp with the rifle pits on the north bank of the river opposite the village. He persuaded the Pawnee to lower a Spanish flag and raise the American flag. A short distance downstream from the village site is one of the five "sacred places" of the Pawnee. It is known as Pa-hur' to the Pawnee or "hill that points the way" and as Guide Rock to the whites, after which the town of Guide Rock was named. The rifle pits are located 3 1/2 miles west of Guide Rock. The site is owned by the Nebraska State Historical Society Foundation and has been since 1979. Malick Park is located near the town of Cowles and is inaccessible to visitors. It is notable for having a fountain and pool built as part of a resort built by a private owner and a WPA project in the 1930s, the ruins of which are still largely in tact. The field to the south of the fountain is the likely site of the Cowles Ballfields, where Cy Young, Dazzy Vance, Clarence Mitchell and others likely played. Cy Young, Williams Jennings Bryan, and Willa Cather all appeared on or visited the field at some point. Read more here and learn about efforts to develop the site here. Yet another property maintained by the City of Red Cloud and volunteers is “Indian Princess Hill.” Located on a river bluff, it offers a picturesque view of the area. Accessed by going to the River Road just south of the river, then west to the first “road” on your left and up to the top of the hill, many have enjoyed using this as a picnic site, also. Over the years this has also been a favorite spot to sled or toboggan. It was selected for its significance to one of the town’s early historical events that occurred in 1874. This was the death of Polygrandaha, the daughter of Medicine Horse, great chief of the Otoe Indians. In 1904 the Cather family left their little rented house on the corner of Third and Cedar and moved into this more spacious house at the corner of 6th and Seward, which they had purchased. Although Willa Cather had left Red Cloud permanently in 1896, she continued to visit her family in this house during the summers and occasionally for Christmas. The house is the setting for the Ferguesson family home in one of her short stories, "The Best Years." Occupied from 1770 to about 1810 or later, the Pike-Pawnee National Historic Landmark has been the subject of intense historical and archeological research. Former Nebraska State Historical Society Museum Director A. T. Hill documented the site as the Republican Pawnee community visited by the 1806 Zebulon Pike expedition. It encompasses nearly 300 acres of Republican River terrace, bluffs, and draws in the Guide Rock vicinity. In addition to the village area of 100 lodge sites, there are five cemeteries, two hoop game "courts," and a council site that constitute the complex. Artifacts of both native and European origin are common. The chalk cliffs are exposed bluffs along the south edge of the Republican River just south of Red Cloud. The cliffs are a naturally occurring geologic feature, exposed by the action of the Republican River and considered a landmark in the community. The Red Cloud United States Post Office is a one-story, buff-colored brick building constr ucted in 1939 in the Modernistic style. While the building retains a high degree of integrity, its historical significance derives from the mural painted on an interior wall. Through New Deal programs such as the Public Works of Art Project and the WPA Federal Art Project, thousands of artists were employed. In 1934 the Section of Painting and Sculpture (renamed the Section of Fine Arts in 1938) was organized under the auspices of the Treasury Department to provide murals and sculpture for the many federal buildings constructed during the New Deal era. Between 1938 and 1942 the Treasury Department's Section of Fine Arts (generally known as "the Section") commissioned twelve murals for twelve newly constructed post offices in Nebraska. Red Cloud, along with the other eleven post office murals in Nebraska represent the Section's goal of making art accessible to the general population by reserving one percent of new building construction budgets for art. Constructed in 1917-18, the Auld Public Library is an excellent example of educational architecture in Red Cloud. Designed in the Neo-Classical style, the building is a fine representative of early twentieth-century library design as found in communities throughout Nebraska during this period. This facility was the result of William T. Auld's generous donation to erect the first permanent library for the community. The Webster County Courthouse was built in 1914. The building, a vitrified brick edifice of three stories, is designed in the Second Renaissance Revival style. Trimmed in stone, with a stone foundation, the symmetrical rectangular building features central projecting pavilions at each of its two side ends and a front, south facade that projects slightly across its entire width from the main block of the building. A high parapet above the wall cornice slopes upward slightly toward the center of each facade. The Nebraska Department of Roads and Irrigation designed the Red Cloud Bridge in 1935 after spring floods weakened the old structure. Although the highway department generally constructed simple truss spans, it instead delineated a continuous truss for the Red Cloud Bridge. The channel spans consist of three continuous pony trusses, flanked by deck girder approaches. To provide sway bracing, overhead lateral struts connect the upper chords of both webs at the bridge piers. The four main piers are constructed of concrete with up- and downstream cutwaters. The piers rest on concrete-filled tubes driven to bedrock. The approach span abutments consist of steel piles encased in concrete, with flared, sloped wingwalls. Highway department engineers took great pains to ensure that the bridge was seated properly to avoid undue stresses at the bearing points, weighing each truss with hydraulic jacks before the concrete deck was poured. The Red Cloud Bridge, located south of the town of Red Cloud, is technologically significant as a rare experimental design by the state highway department. Representing a highly unusual foray into continuous truss engineering, the Red Cloud Bridge is unique in Nebraska and is one of the state's most important vehicular spans. There are also many sites on the National Register of Historic Sites associated with Willa Cather. Please visit the attractions page for more information or visit the Willa Cather Foundation website for more information about the sites and tour possibilities. Learn more about the historic sites of Red Cloud and revel in the quitodian details of everyday life by visiting www.walkredcloud.com or by scanning the QR codes located on lamp posts around town.